Al Baddad International established in 1971 in the Emirates and later on expanded to other Gulf Countries and the Middle East and many regional offices around the world. The high quality products and services that are offered by Al Baddad Group as a result of its continuous hard work, innovation and dedication towards its customers established the Group as one of the leading Group in the Middle East. Al Baddad distinguished by caring about the smallest details to warrantee high specifications. It started manufacturing aluminum halls itself and became competitive with the biggest companies in this field. 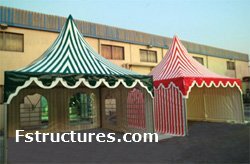 It also owns a big quantity of aluminum tents and halls in different sizes and shapes. The aluminum used to manufacture the halls is the same used to make strong and light weight airplanes, wind resistant, oxidation and rust roof. 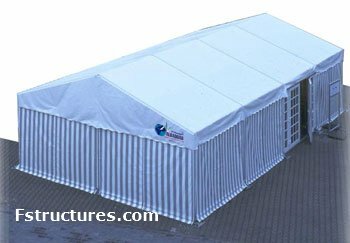 The outside cover used for roof and sides is fire retardant and conforms the international fire standards M2, waterproof, light penetration, high resistance for heat. 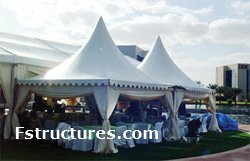 The structure retains its initial shape and perfect tension thanks to the dimensional stability of the textiles. Al Baddad offers also distinguished services and global delivery in a short time.